From the second we come into this world, there are people in our lives that are a constant presence, whether they’re friends or family. Similar to that, there are those constant icons and heroes that have been in our lives since youth, that we know we can always count on to be there. As we celebrate this year’s Batman Day, it’s fun to look back on all of the ways that the Caped Crusader has evolved and grown with us from our childhood to our adult lives. From family-friendly cartoons to gritty films and video games, Batman is a constant presence throughout one’s lifetime. As young children, we grow to love and know Batman through cartoons and toys. Who could forget the classic animated series, Super Friends, from the 1970s, where Batman and Robin and all of the other heroes we know and love entertain our young hearts through funny hijinks and important life lessons? These animated heroes were the basis of teaching us right from wrong. Similar to the upbeat and moral-heavy animated show, the live-action Adam West Batman has been there for generations as well. Children and young adolescents remember the campy show fondly, and it has long outlived the ’60s. In reruns and now on Blu-ray, Adam West still steals our hearts as the Batman of fun. Almost as important to us as children as the animated shows were the toys based off of them. You can’t go into a store that sells items for kids and not find a Batman toy. Even if you were too young to see the films in which Batman appeared in, you could always count on a good Batman action figure to fill your childhood with adventure and imagination. As we move on from our childhood and head into our adolescence and adult years, Batman is there again. However, this time he is a gritty and tough Batman, although he still inspires goodness and persistence. Tim Burton helped cement this side of Batman with his darker-toned Batman in 1989 and Batman Returns in 1992. These Burton films, along with iconic comics such as THE KILLING JOKE by Alan Moore and Brian Bolland and THE DARK KNIGHT RETURNS by Frank Miller, pushed Batman into a more mature direction than what viewers who remember the campy Batman of their youth may be used to. From these films and comics, all the way to Christopher Nolan’s Dark Knight Trilogy, fans learned to once again embrace the Dark Knight, as he struggles with the same types of issues that we often do in our more challenging moments—tough decisions and raw emotions. As one grows up, it is almost as if Batman evolves with you. Even today’s Batman in DC’s Extended Universe films continues to be a more serious hero, resonating more with an adult crowd. The world of animation certainly isn’t immune. The family-friendly vibe of Super Friends moved on to the more sophisticated cartoons we see in Batman: The Animated Series or any of the other animated films that have been released starring the World’s Greatest Detective. These shows and movies were the beginnings of a new kind of animated Batman. Featuring the commanding and iconic voice of Kevin Conroy, Batman became a new type of hero—a hero in a more complex and darker Gotham City. Even more adult-skewing are the immersive and visually stunning Arkham video games. Teens and adults have been captivated since 2009 by this series of games not only for its intuitive gameplay, but for the storylines and characters. These games also inspired numerous comic book prequels and spinoffs, which allowed Batman fans to get more immersed in the world of the Arkham games. If it seems odd that a character should be so malleable and inconsistent over the years when it comes to his tone and gravitas, one need only look to the comics leading the way. 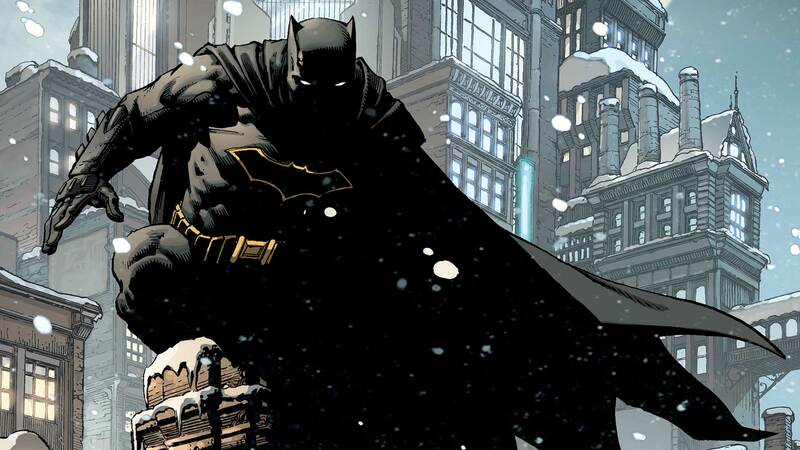 Batman’s tone and sophistication in comic books has changed, evolved and grown over time. Batman started out as a pretty gritty character. However, during World War II, he became more lighthearted and moralistic. Themes changed again in the ‘70s and ‘80s, with Batman going back to a darker tone. Now, with DC’s new Black Label, we will see even more adult themes when it comes to the Dark Knight. In short, much like with the films and shows, there’s a Batman for every age and every taste on the comic shelves! We all grow up (although sometimes we don’t want to!). However, one thing is for certain—there will always be Batman. No matter what stage of life we are in, there is a Batman story for us to enjoy and love. The World’s Greatest Detective is here to stay for generations to come, for young and old and all of us in between.